Biking is supposed to be a convenient and relaxing way to get around, but so many bikers are saddled with the mental and physical baggage of trying to prevent theft. Some cyclists take their front tires with them when they lock their bikes up; others remove the seats. 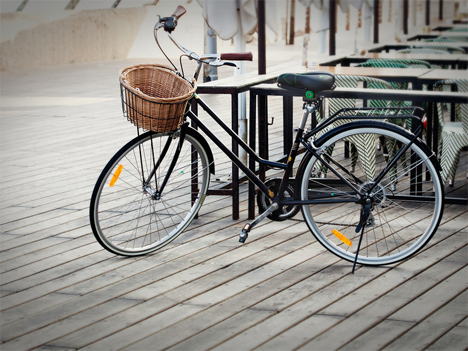 In most cases, they carry a big lock wherever they go to secure the bike at their destination. 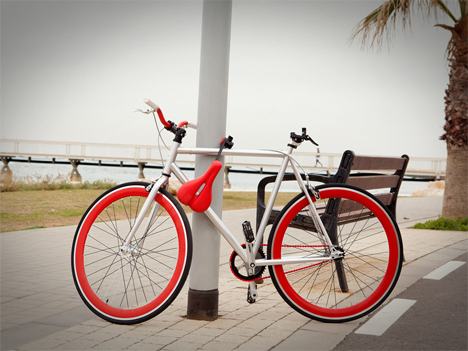 Seatylock is a novel answer to the worries of cyclists everywhere. 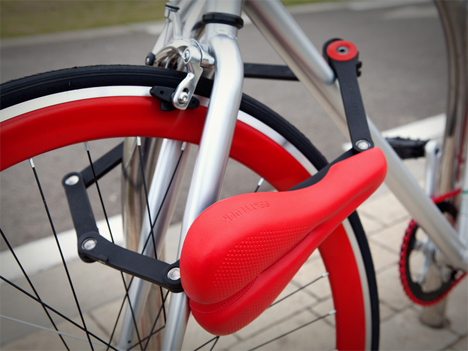 It integrates a lock right into the bike’s seat, eliminating extra baggage while making it easy to keep your bike safe from thieving miscreants. When you get to where you’re going, the entire seat comes off of the bike frame. Stowed underneath are a few metal arms that fold out to become a lock which loops around a bike rack or the nearest stable object. A quick lock with a small key and your bike is secure – all told, it takes about 30 seconds to remove the seat and secure the lock. 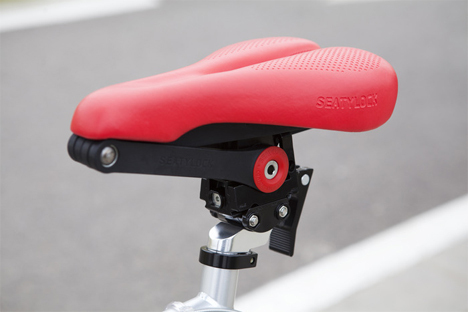 The Seatylock comes with an adapter that lets it fit onto just about any bike, and is available in both “trekking” and “comfort” models to suit your specific biking habits. A special safety adapter ensures that your seat won’t go wobbling off of its post mid-ride. The team behind the unconventional lock clearly had a great time testing its strength if the video above is any indication. The Seatylock couldn’t be broken by chain cutters, a saw, or ice spray and a mallet. It can stand up to .6 tons of pressure, which is definitely strong enough to deter any hoodlums from taking off with your ride. Kickstarter pledges starting at $75 will get you a Seatylock of your own. See more in Bikes & Cycles or under Transportation. September, 2014.